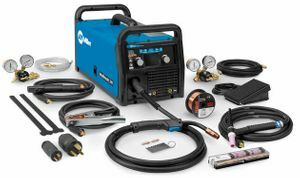 The Miller Multimatic™ 215 multi-process welder with TIG Kit is a 230 amp, complete portable MIG, Stick and DC TIG welding package. It comes standard with a color LCD screen and features Miller's Auto-Set™ Elite. Auto-Set™ Elite sets MIG, Stick and TIG welding parameters automatically, all you need to do is enter metal thickness and welding wire or tungsten electrode diameter. It also allows you to fine tune weld settings manually to suit your individual preferences. The Multimatic™ 215 runs on either 120 volt or 240 volt input power, using Miller's exclusive multi-voltage plug (MVP™) and weighs only 38 pounds. It comes complete with Miller M-100 MIG welding gun, Weldcraft™ 150 amp TIG torch with accessories, stick electrode holder and ground clamp. Auto-Set™ Elite can be used on multiple materials and multiple processes with the ability to fine tune your settings. Easy to set up and use. Angled wire drive with Quick Select™ drive roll for smooth feeding and quick wire changes. Smooth-Start™ for consistently smooth, spatter-free MIG starts. Auto Spool Gun Detect™ automatically detects when a MIG gun or spool gun is connected eliminating the need for a switch. Fan-On-Demand™ power source cooling system operates only when needed, reducing noise, energy use and the amount of contaminants pulled through the machine. INCLUDED TIG Kit - gives you everything you need for remote TIG welding with the Multimatic 215. 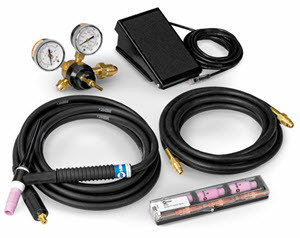 Includes RFCS-RJ45 remote foot control, Weldcraft® 150-amp WP17 TIG torch with 25-mm Dinse connector, AK-2 torch accessory kit, regulator and gas hose. PLUS get a $200 Build With Blue™ Cash Rebate from Miller® with the purchase of a Multimatic® 215 welder AND get up to an additional $200 Cash Rebate when you purchase qualifying Miller® or Hobart® branded accessories (excludes welders and plasma cutters). Download Build With Blue™ Rebate Submission Instructions HERE. All rebate forms MUST be submitted electronically to Miller no later than July 15, 2019. Offer expires 6/30/19. Miller® RCCS-RJ45 fingertip remote amperage and contactor control with RJ45 jack-style plug for Miller Multimatic™ 215, Diversion™ 165 and Diversion™ 180 welders. Can I use 6010 and 6011? Miller indicates that the Miller Multimatic 215 Multiprocess Welder 907693 can run 6010 electrode but it does not do it well. The 215 will have trouble maintaining an arc when 6010 electrode is used. 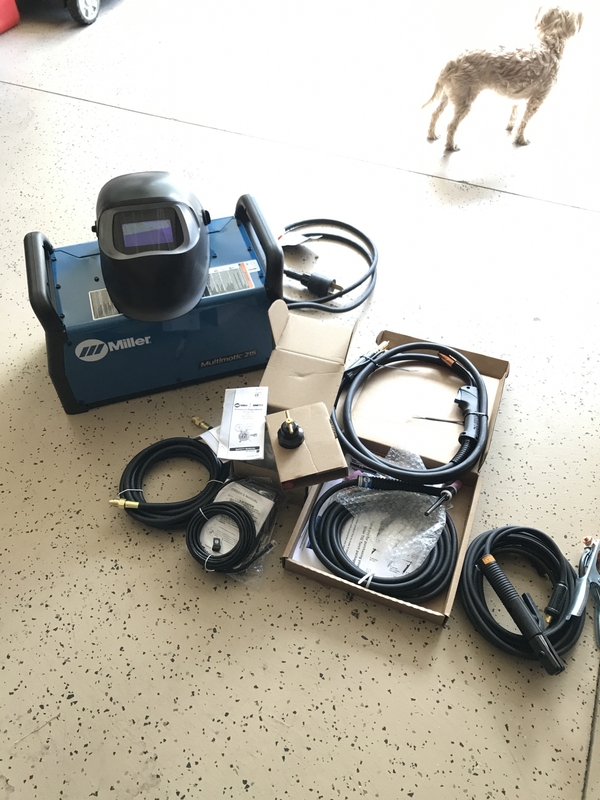 The recommend the Miller Multimatic 200 Auto-Set Elite Welder 907518 if you are looking for a portable multiprocess welder that will run 6010 electrode. The machine will have no problem running 6011. Can I use a 11# spool of MIG wire in this machine? Miller Multimatic 215 With TIG Kit 951674 will accept an 11# spool of wire. What receptacle is required for the 240 v adapter . Is there a Nema number for it . It appears to be a 50 amp receptacle. Does this machine have the ability to run AC for aluminum tig welding? What do I need to add fingertip control? I have the multimatic 215 with tig kit. 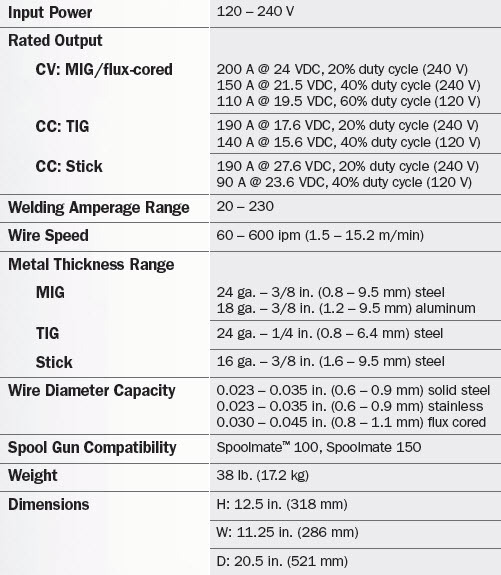 Is the TIG torch the WP-17-12-R (12 foot long)? Also can the welder support the WP-17-25-R torch? 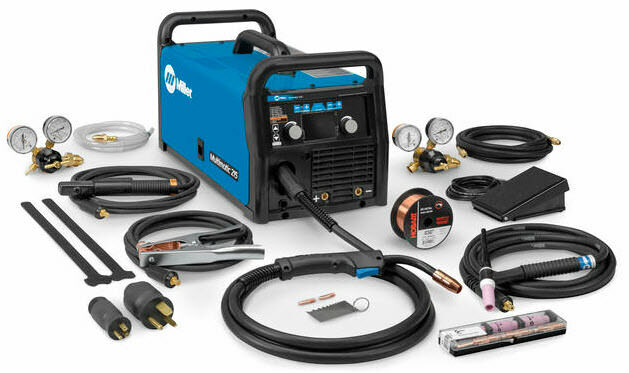 Miller Multimatic 215 With TIG Kit 951674 comes with a 12 foot torch. You can use a 25 foot torch on this machine as well. What size generator would I need to power this welder? The Miller Multimatic 215 requires 30 Amps and 7000 Watts of generator power to run at full power. what size breaker should the unit's source have? The Multimatic 215 should have at least a 30 Amp Breaker. Shipping to California is a 2-3 day transit depending on your exact location. We ask for 1-2 business days for processing in addition to your transit time, so you should expect about a week to a week and a half for delivery. can you run a cooler with this welder if you got a new torch. Miller advises that the Multimatic 215 is not equipped to hook up to a water cooler. Can this unit be used to weld 18Ga Aluminium? The Miller Multimatic 215 With TIG Kit 951674 MIG aluminum thickness range is 18 GA - 3/8 inch. Does this machine have an arc force and hot start setting for stick welding? And can you change the post flow for TIG welding? According to Miller, the Multimatic 215 does not have an arc force or hot start function for stick welding. They also advised that you cannot adjust the post flow on the machine. Do you have to use the foot pedal with this or can I use my own tig equipment? Also can I use a tig torch where you clamp the electrode holder to the gas block? I don't want to pay an extra $385 if I don't have to. The purchasing experience was easy and straightforward, the welder has naturally met my expectations that is expected from Miller quality. I'm new to welding and really enjoying the creative outlet. I love to build custom trucks. Welding and metal fab has always been out of my skill level. But with the automatic dial-in of settings, I was up and running in no time. I picked up some filler sticks today and can't wait to give Tig a try. I've used other welders over the past 2 months and I'm so happy I upgraded to Miller. ConsThe helmet is slow to respond. Can't get it right. Bought this after a recommendation from my welding instructor. He was right. It is a nice unit. Sheet metal and all attachments are good quality. Puts down a nice bead using the auto selections. ConsNo access tight but I wasn't willing to spend 1300 more for the esab that is coming out soon. What more can you ask when the product you ordered arrived intact in great condition and meets 100% of your needs. The ordering process was smooth. Product selection was better then most and check out was easy. There was no need to contact customer support since they have their website process figured out and the shipping options were also better then most. I would and will recommend cyberweld to my colleagues, friends and family. ProsGreat product selection. Great prices. Easy ordering. Easy checkout. Great shipping options. 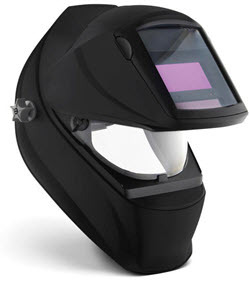 It is a great addition for any welder or light fabricator. I've used mine and it works beautifully. It lay's perfect beads every time. I will recommend this welder to any beginner to pro. ProsIts does all processes except AC TIG, but DC Tig works good for almost any tig welding. You can get the spool gun and run er4043 no problem. The multi purpose plug for 110 or 220 works great easy to change back and forth if needed. I like that it can use 8in (11lb) roll, not just a little 4in roll. ConsEven though it's a great machine you can only weld for a smaller amount of time, because it is air cooled and not liquid cooled. Welds perfectly in TIG and MIG. Pre programs seem pretty darn accurate. I was under the impression that you could not cross the wires because the program would not allow it. I tried to cross the wires and you can. The machine will allow it. ConsPrice. Won't be long and Miller will be another American brand on the scrap heap. They have to start competing on price. 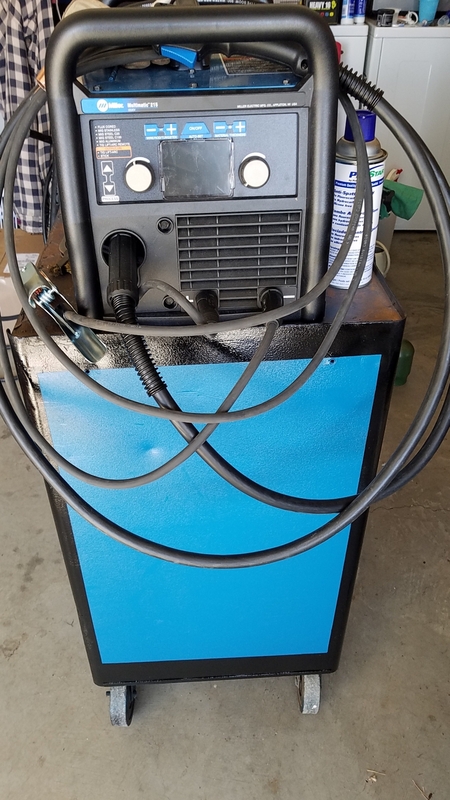 Ordered this welder from Cyberweld. It was my first time experience using Cyberweld. No problems through the whole order process. Packaging was excellent. No damage, and all contents were there and accounted for. I definitely will purchase from them again. Amazing Little (and Portable) Welder!!! This thing is idiot proof. I just learning how to weld and this is going to be my learning welder. Right out of the box I hooked up a cylinder tank and went to playing around with this machine on some scrap metal. I just put in the wire size, the thickness of metal and I went to welding and for my first time, I can say I was laying down some pretty decent beads. Now I'm no professional but for a beginner I think they were fairly good. I have had this welder for 2 weeks and has been great so far. The pre programmed auto settings are fairly accurate with minor adjustments, which makes the mig setup very easy. I have only used the mig, but look forward to using the tig kit. I'm a new welder and wanted a versatile, professional machine that I could grow into as my skills progressed, and this fits the bill. Other than not being an AC machine for aluminum, it's got all I need for my metal art and garden sculpture projects. I like that it's got auto settings, but they're easy to tweak or completely override when I choose. ProsSmall footprint, 110 or 220, easy to use but versatile enough for a serious pro. If you can get it while the rebate is going on. Worth it. Easy set up. Light foot print. Almost fool proof to use. Good welder for beginner. Very well made unit. Cyberweld shipped it out fast. Got here in great shape. Have to set new AC outlet for the 220. ProsEasy setup and the automatic settings gets you in the ballpark. Everything was shipped fast and packaged well. The multimatic 215 is a great machine. So far I've had a chance to use the tig and mig functions. Both work flawlessly. I would highly recommend this welder. And I got a free helmet with my purchase. It's the 3m speedglas. It's a good helmet for free! Wow! Upgrading from a Hobart handler and WOW! What a dream machine. I got it set up as quickly as I could so i haven't even tried it on 240 current yet--can't wait to see all that it is capable of. The auto settings are well suited to my liking. I purchased the with TIG kit machine so super excited for the potential of my future projects. This welder is excellent. Takes out any guess work. Perfect! This welder has exceed my expectations and is a good fit for hobby and light to medium farm use. ProsThe mig option welds very well, as good as my dads miller match 250 which is 20 years old. I like the ability to have 3 processes to choose from and it is very easy and quick to change processes. 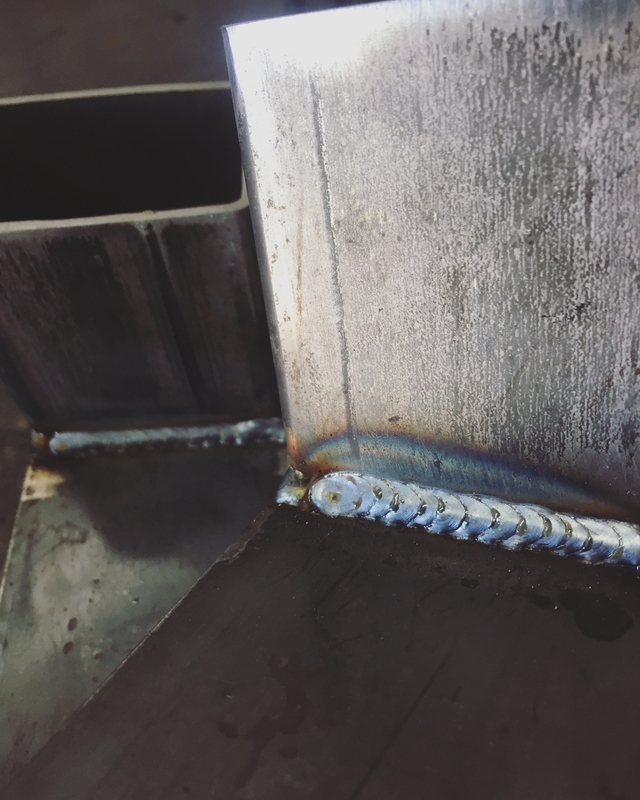 ConsThe tig function is a little to get used to in starting your arc, but it's not a high frequency welder so it is understandable. 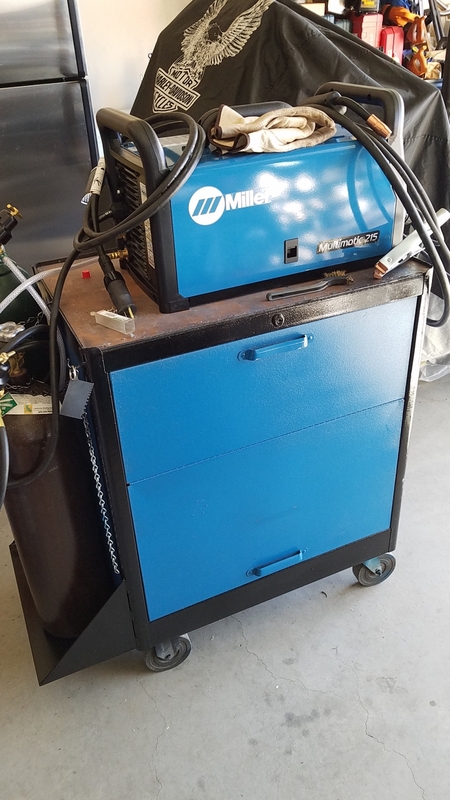 I got my new Miller Multimatic 215 with TIG kit 951674 but the problem is that it's still in its shipping box and I haven't had the time to play with it , but as soon as I get to it I will have more feedback on it . Replaced two machines with this unit, works great. Good value and excellent service from Cyberweld. 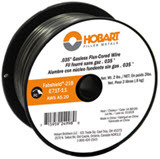 ConsThe TIG torch lead could be longer. This welder is awesome. Before I purchased I had looked at other multi welders. I'm glad i choose this multimatic 215. I owned other miller welders so the choice wasn't hard but sometimes you look around to see if there is a better one out there. I felt this was the best choice and Cyberweld, you guys are great! Everything arrived on time and in great condition. Prompt and careful shipment. Everything was shipped neatly and well packed. I was skeptical about ordering something like this online but I am 100% satisfied. My order was delivered very quickly, the packaging was robust and everything arrived intact and in perfect condition. Everything that was listed as being included was indeed in the box. This purchase was an excellent deal and I am over the moon with the end result!! I will definitely make my future purchases from here again. I have no complaints whatsoever! ProsSpeedy, accurate, best deal, high quality product. This welder is great! It is light but delivers the power. I haven't got to try everything yet but the welds I have made so far are vastly improved. The autoset on the MIG works great. Great machine, design, light weight, versatile, fast changing between processes. Tried out MIG, Stick, TIG, all worked great so far, super fast ground shipping, got it the next day basically.